In a few short weeks, we’ll be hosting a Crash Course on SEO — more on that later. This month, we’re covering SEO topics in depth. 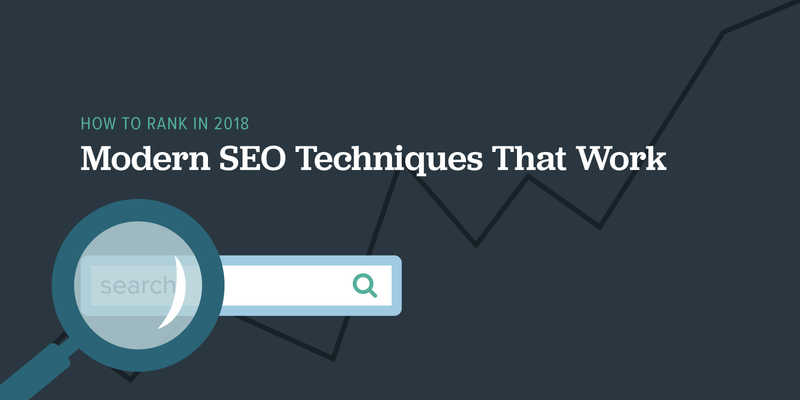 This blog post will discuss modern tactics for ranking in 2018. I’ve been running SEO campaigns since 1995. Yes, that’s pre-Google, folks. Over the years, much of what once worked, is no longer relevant. In fact, some tactics may result in a manual action from Google. In other words, the landscape of SEO has changed dramatically. Similarly, it’s critical that your SEO tactics and strategies evolve too. Do these Things. SEO low hanging fruit. Google rewards sites that are speedy. If your site is the least bit sluggish, do what you can to speed it up. This may mean leveraging caching, minifying or combining files, and minimizing server requests. No one likes to wait for a slow website, and Google will penalize you if your site doesn’t offer a snappy user experience. Earlier this year, Google announced mobile-first indexing. In fact, Google is now sending out mobile-first indexing enabled notifications. Make sure you are serving up the best mobile experience possible. Increase clicks to your site by considering the user’s intent and optimizing page titles and meta descriptions accordingly. What keywords is your audience using? Is the content that shows up on the Google results compelling? Does it pique interest? Is it promising? Keyword phrases will correlate to your customer sales cycle. For example, if a user is searching on the phrase “what is SEO?” they are most likely higher up the funnel than a user searching on the phrase “local SEO companies.” Maximize your efforts by gaining visibility for a variety of keywords from the top of the funnel to the bottom. In the old days, it was possible to rank even if you didn’t have quality content. Those days are over. If someone is promising #1 organic rankings without discussing your content, walk away. Creating good quality, valuable content, should be the cornerstone of your SEO campaign. This is one area of SEO that hasn’t changed too much. Having a site that’s accessible and easy for Google has always been important. If Googlebot’s spiders can’t find your site, your audience probably won’t find it either.